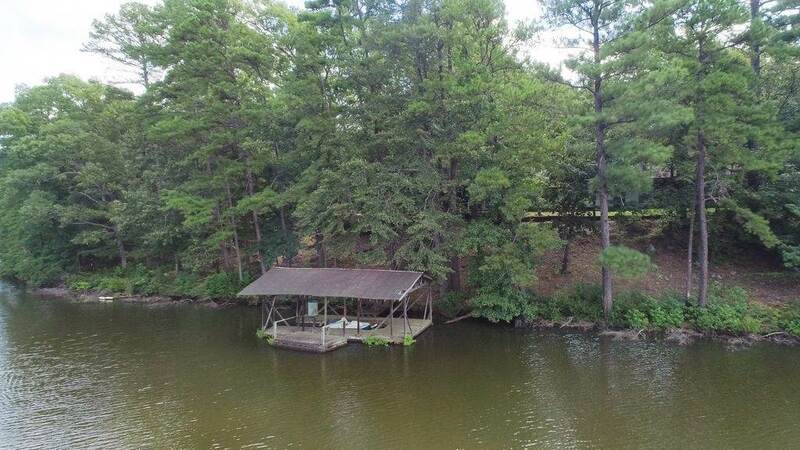 This lovely home is located on a 34 acre lake and features a large covered deck for enjoying the view. There are 3 bedrooms (possibly 4) and each has a lake view and its own bath. Extensive updating has been done on the bedrooms, baths, utility room, and kitchen and an open floor plan makes the living areas perfect for entertaining and family gatherings. There are two beautiful stone fireplaces that enhance the cathedral ceilings and compliment the picture frame paneling. Bonus room could be used as 4th bedroom, office, or media room. Separate guest cottage has its own lake view and also a dry sauna. Floating wooden dock with boat slip offers hours of boating, fishing, and swimming. The home&apos;s location conveys a relaxed, private, country feeling but is only 5 minutes from town.